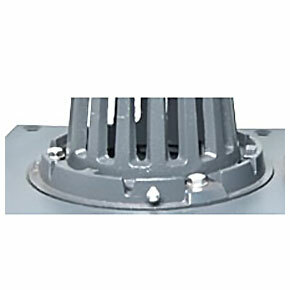 PRODUCT: REPLACEMENT FLASHING CLAMP FOR WATTS RD-250 ROOF DRAIN. PRICE/CLAMP. Watts Drainage Products RD-250 replacement FLASHING CLAMP (RD25 / #RD-250-FLG). Dome not included. Fits RD-250 combination roof drain with overflow. RD-250 Hardware Kits (for RD-250, RD25). Price/Kit. (exact kit items may vary from photo); bolts etc only, no dome or clamp included).